Testimonials | "Helping you make your next move"
To whom it may concern,I would highly recommend Brad Slabaugh for the sale or purchase of a home. I recently purchased a home in May 2011 and sold a home in July 2011 and Brad represented me in both transactions. Over my lifetime I have bought and sold over a dozen homes and I have to say Brad is the most knowledgeable and professional real estate person I have ever dealt with. He has tremendous knowledge of the current market conditions and knows how to price, market, and negotiate the best deal in a tough market. On the purchase he got me a great deal with an REO home and was able to negotiate several price and deal concessions from the bank. On the sale, he was able to sell my house in 7 days and got $10K more than the top of my expected sale price on the home. He had access to multiple resources to prepare the home, stage it and then had an aggressive marketing plan with advertising and open houses to move the home quickly at a very good price. I would use him again in any realestate transaction and would recommend him to friends and family. Brad is a fantastic realtor. We have used Brad for purchasing two homes and both transactions were extremelysmooth. Brad definitely has gone above and beyond our expectations to ensure weget the houses we want. Brad will continue to be our go to realtor as he hasproved time and again that he is committed to serving his clients. Michael L. & Janet S.
My wife and I have bought and sold many homes in the past few years as aconsequence to several career related moves and opportunities. Throughthese transitions we've worked with a number of realtors, all of whomdemonstrated adequate familiarity of the local housing market and sufficientexpertise needed to negotiate a fair value for their clients. Nonetheless, we believe Brad Slabaugh is in a category altogetherdifferent. To characterize Brad as simply the best realtor we'veever worked with would be a significant understatement of ourexperience. His level of integrity and transparency in approach made animmediate and compelling impression on us. He took the extra timerequired to not just understand our wants and needs, but to truly appreciateand sympathize with our motivations and aspirations. He learned to"think like us," and by so doing was able to represent us like noother. Brad's personal commitment to success is manifested in a tirelesswork ethic, great attention to detail, and a proactive style that inspiresconfidence and trust. We worked with Brad on the purchase of our home inCalifornia. One year later when a job promotion required leaving forColorado, he represented us on sale of that same home. Though it maysound strange, we consider both the purchase and subsequent sale of that houseto be the two most "succesful" and "personally satisfying"real estate transactions we've ever made. Our only regret is that wecouldn't take Brad with us for house hunting in Colorado. 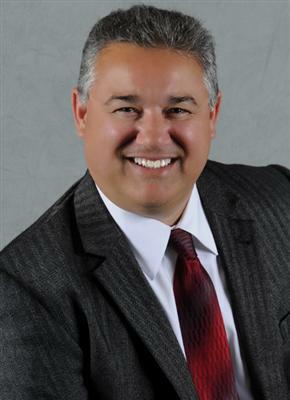 Brad Slabaugh was fantastic, we could not have asked for a better agent. He had athought out plan and executed it with the utmost attention. My dad's house sold in 6days for above the asking price. He doesn't just sit around and let the house sell itself, hegoes above and beyond what we've experienced in the past.